Tortilla chips are a staple in our family. 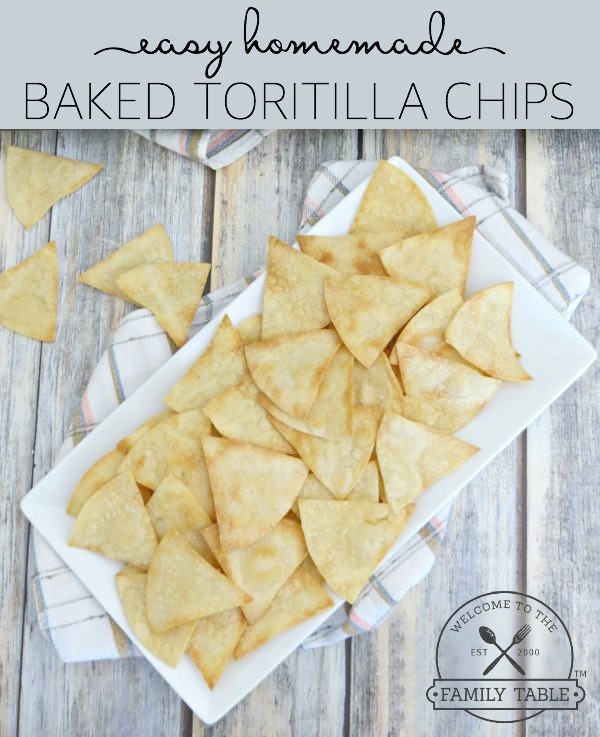 I mean who doesn’t love warm, fresh out of the oven, tortilla chips? Now we don’t have to go spend the money going out to our favorite Mexican restaurant to get these divine goodies! We love making our own pico de gallo and homemade salsa to go along with these delicious chips. 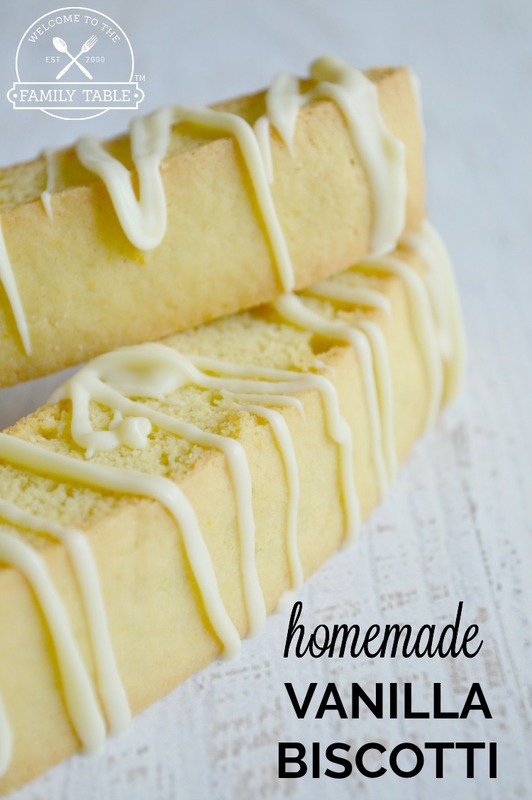 Once you see how easy these are to make and how tasty they are, I think you will quickly adopt this recipe into your family! Enjoy! Preheat the oven to 350 degrees F. You’ll also need a large baking sheet. Spray both sides of the tortillas with non-stick cooking spray and sprinkle with salt. Stack 5 tortillas up and cut them into wedges. You can make them large or small (I usually do six wedges). Lay the tortillas wedges on the baking sheet in a single layer and not too close together. Overcrowding the pan will result in uneven browning. Bake for 5 minutes, turn the pan, and bake for another 5-7 minutes or until golden brown. Remove them from the oven and immediately transfer them onto paper towels (or a big towel). It will take several batches to get all 60 chips done. When all the chips are cooked, enjoy them while they’re warm or store in an airtight container for up to a week. Be sure to let the chips completely cool before transferring to an airtight container. I actually like to let mine sit out for about an hour if we’re not eating them right away. I prefer to use an all-natural non-stick cooking, because it’s easier and saves some extra fat and calories. If you don’t have or don’t want to use cooking spray, you could also lightly brush both sides with olive oil instead. You can add different seasonings to make these even more delicious. Just sprinkle them on when you add the salt. A favorite in our house is chili powder, garlic and cumin. Since all ovens vary, I suggest checking the chips often. Consider the first batch is a test batch that will help you determine how long to bake the rest. For that reason, you can also make the first batch a little smaller. You also want to be sure to rotate then pan at least once while they bake, maybe even twice. The chips will brown more evenly and it helps prevents them from burning. Preheat the oven to 350 degrees F. You'll also need alarge baking sheet. Be sure to let the chips completely cool before transferring to an airtight container. I actually like to let mine sit out for about an hour if we're not eating them right away. I prefer to use an all-natural non-stick cooking, because it's easier and saves some extra fat and calories. If you don't have or don’t want to use cooking spray, you could also lightly brush both sides with olive oil instead.